Each week, A10 Talk’s staff ranks each team in the Atlantic 10 conference (1-14) based on where they believe each team places overall. Each team’s ranking is averaged, and A10 Talk creates a compiled ranking to represent the site. 11 different contributors vote in each week’s rankings. Be sure to check out last week’s power rankings post. Here are this week’s power rankings. 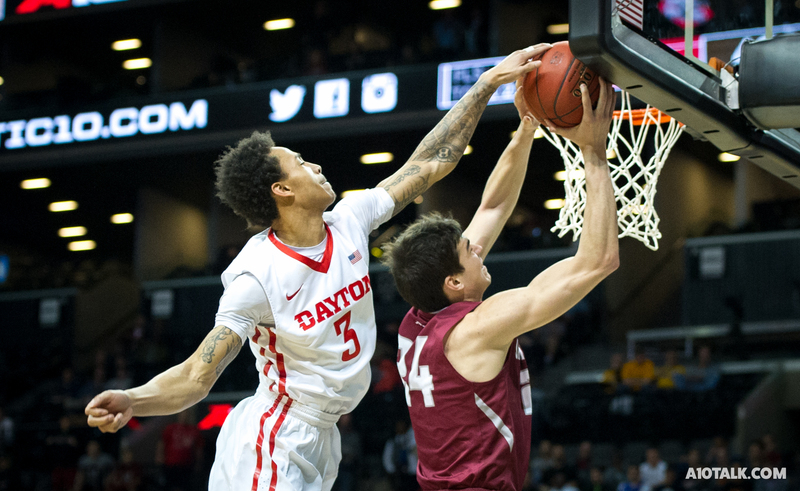 Dayton went 2-0 this week taking down St. Joseph’s (IN) and Eastern Tennessee State. The Flyers will have a tough duel with Northwestern in Chicago this coming Saturday. VCU lost a tough home game to Georgia Tech this week but responded nicely with a comeback win over Old Dominion on the road. The Rams will host Middle Tennessee State on Saturday. The Rams took down Old Dominion at home this week but also lost a road game to Houston. The Rams will try to respond this week when they face off against Holy Cross on Sunday. The Wildcats lost their only game this week, though they played North Carolina to the wire on the road. Things won’t get easier for Davidson this week when it faces Kansas on Saturday. St. Bonaventure went 1-1 this week, getting a good road win over Hofstra but then losing a heartbreaker to UNC Wilmington at home. The Bonnies will take on Niagara on Saturday. Massachusetts took down Pacific at home and played Providence close on the road but ended up losing to the Friars. The Minutemen will host N.C. AT&T on Tuesday and Kennesaw State on Saturday. George Mason got two huge road wins over Penn State and Pennsylvania this week, and the Patriots have now won 7 straight. They’ll host Longwood on Monday. La Salle played pretty well against Villanova and Georgetown this week despite losing both contests by double digits. The Explorers will host Florida Gulf Coast on Saturday. The Spiders won the only game they played this week, though they narrowly took down UMBC at home. Richmond will host Texas Tech on Saturday. The Hawks barely escaped Drexel on the road this week but still went 1-0 regardless. Saint Joseph’s will have a road test against Princeton on Wednesday and Illinois State on Sunday. George Washington got a nice road win over Temple and took down Howard at home this past week. The Colonials will host UCF on Thursday. The Rams lost the only two games they played this week to St. John’s and Manhattan. Fordham will try to bounce back this week with a road matchup against Rutgers. Duquesne lost to Robert Morris earlier in the week and escaped at home against Central Connecticut State. The Dukes will not play at all this week. The Billikens got crushed by Wichita State but turned around and got a narrow home win over Chicago State. Saint Louis will play at Southern Illinois on Wednesday and at home against SIUE on Saturday. GW has one of the better wins in the conference and stays at #10?! ?